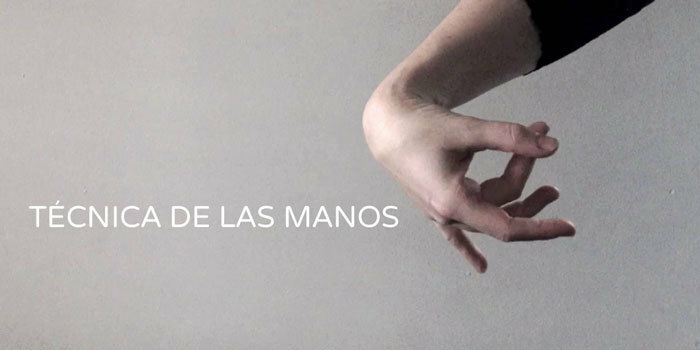 There are many ways to make beautiful shapes with the hands in flamenco and a lot of it is down to personal style and the physiology of your body. The first element is the circling of the wrist. It is very important that you do this without moving the rest of the arm, the wrist movement is completely isolated. Added to this you have the movement of the fingers. The fingers behave like a fan opening and closing with each finger moving independently from the other. José would always tell me to think of the image of the Hand of God from the Michelangelo painting 'The Creation of Adam', in that image you can see all the fingers of both hands and hopefully you can see the same thing in the photo of my hand at the beginning of this post. To achieve this you must always focus on separating the fingers when you circle your hands. In the video below I show 3 different techniques, the first just moving the wrist with the fingers held together, the second leading with the middle finger and the third leading with the little finger. In the past these techniques were separated into male and female styles but today both men and women use all three techniques in their dance. Everybody can do everything!